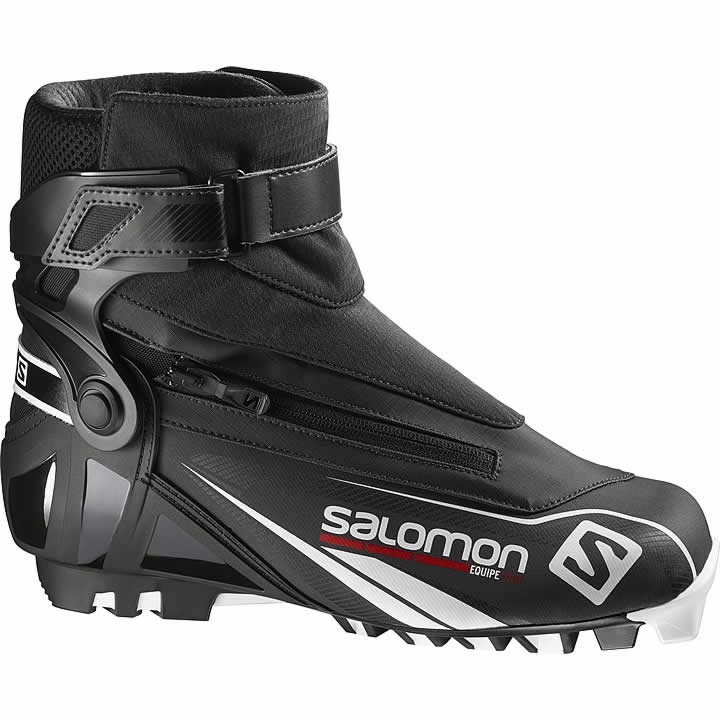 For skiers who want a comfortable performance boot that does everything, the Salomon Equipe Pilot has a supportive cuff and flexible forefoot for skating or classic. Custom fit and Thinsulate ensure all day comfort. SNS Pilot® 2 Sport: Technical and responsive performance outsole. Pivot point is located 10 mm behind the boot's front edge to be closer to the metas. New materials in order to guarantee a perfect supple classic flex. Custom Fit: Combination of comfort foam, thermo-moldable foam, and lycra which provides the ultimate fit and comfort to every foot morphology. Smart Structure: Bi-material versatile cuff and heel counter improving lateral support and heel box rigidity. Performance and appeal improvement. 3D Mesh: 3D mesh fabrics drives the humidity away from the feet and improves breathability of the foot. Adjustable Heel Strap: Adjustment strap around the back of the heel for precise heel hold, comfort and performance.